Where Do Neuroscience Nurses Work? What Is a Neuroscience Nurse? Neuroscience nurses specialize in the human neurological system. Those interested in this field of nursing should have an interest in in the functions of the brain, spinal cord, and nerves. It is a difficult specialty in that neurological diseases and disorders can affect the other systems of the body. Moreover, healing and rehabilitation can sometimes take time, so a neuroscience nurse should have strong assessment skills and a lot of patience. What Are the Education Requirements for a Neuroscience Nurse? Those looking to become neuroscience nurses must first complete an accredited nursing program and obtain a nursing license. They can choose to earn an ADN or BSN nursing degree. BSN nurses have a broader range of opportunities, as they can pursue supervisory roles as well as become clinical nurse educators. Depending on where the nurse works, certification may be required. For example, a nurse working on a stroke unit or intensive care unit may be required to have certification in stroke care. Sometimes certification is not required, although a neuroscience certified RN demonstrates competency, commitment, and professionalism in the specialty. Have provided direct or indirect nursing care in the field of neuroscience or stroke care for at least two years within the last five years. 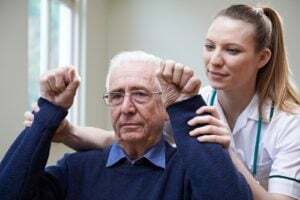 Certification for neuroscience nursing or stroke care lasts for five years, and can be renewed either by exam or completion of continuing education units. What Are the Roles & Duties of a Neuroscience Nurse? Neuroscience nursing can be a challenging yet rewarding career. As medical technology evolves to better meet the needs of patients, neuroscience nurses are necessary in the care of patients undergoing procedures and treatments for their neurological disorders. According to payscale.com, neuroscience nurses can earn from $71,000 to $125,714 depending on their role - from staff RN to advanced RN practitioner. This also depends on state and city of employment, and any certifications held.